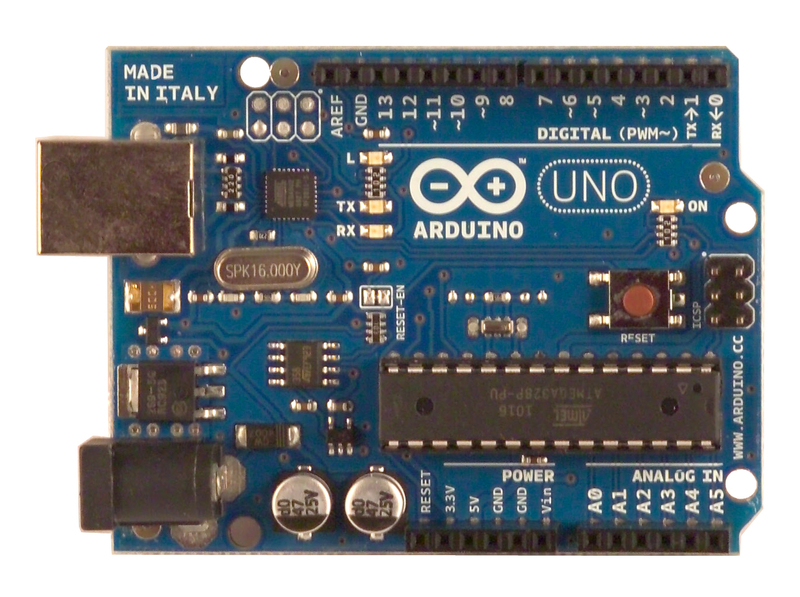 A new Arduino board has been announced – the Arduino Uno. At first glance not a lot looks to have changed, however the Uno differs from previous boards in that it does not use the FTDI USB-to-serial chip, instead it uses a Atmega8U2 micro programmed as a USB-to-serial converter. Digikey has the Atmega8U2 priced a $3.70 (each) which is slightly cheaper than the FTDI FT232 which is $4.50 (each) again from Digikey. Hmm, not a great saving here. Being a part-time sceptic I wonder if the change is more to with the Arduino team keeping control of who has the original USB vendor ID (VID) and PID numbers…. Any new Arduino is always welcome but I’m disappointed the Arduino Team still haven’t offered a solution to the stupid 0.05″ spacing problem of DIO headers J1 (IOL) and J3 (IOH). I know the shield footprint is fixed in stone now but why not add a second row of headers (unpopulated) with a proper 0.1″ pitch between them like Seedstudio and others do on their boards. You are currently browsing the Zuzebox's Blog blog archives for September, 2010.